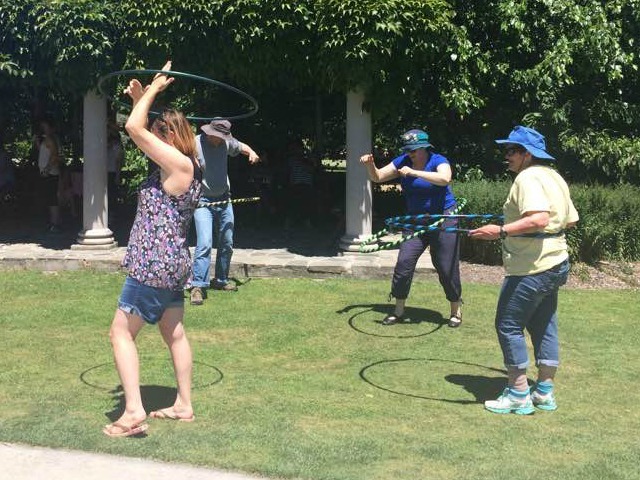 The Weave is a beginner hula hoop move that is very good for building strength in your arms, flexibility in your shoulders and helping to relieve upper back pain and tension. Looking for an intense waist trim workout? Waist hooping with 2 hoops increases the amount of resistance making your abdominal muscles work harder for extra toning. It also intensifies the cardio workout you get which burns more calories. Hoopwalking tones your legs and abdominal muscles at the same time. For those of you who want to learn how to walk while hula hooping watch the video at the end of this post.